I am not a big fan of squash – unless it’s zucchini,, which I will eat every which way from Sunday – but you call something butternut, and you’ve got my vote. 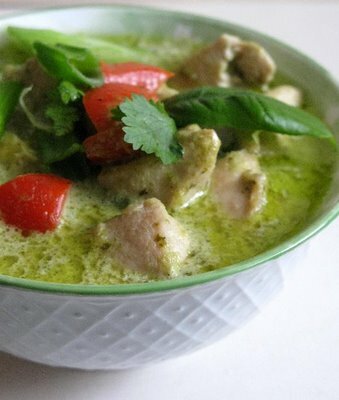 You’ve also got it when you add coconut milk to something; it’s like the Asian version of a good chicken broth – clean, homey and downright addictive. This is a little rich, so if you’re looking for something a little lighter, a dash or two of cayenne might do a body good. Either way, this is a delightful substitute for played-out mashed potatoes and a great way to take advantage of that last farmer’s market run of the season. Coat squash with oil and salt and pepper. Roast for 20 minutes or until tender. Place in a medium size pot. Mash up with a potato masher. 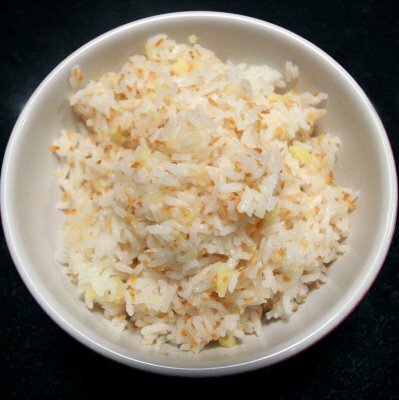 This is the less-creamy, more tangy version of your standard coconut rice. 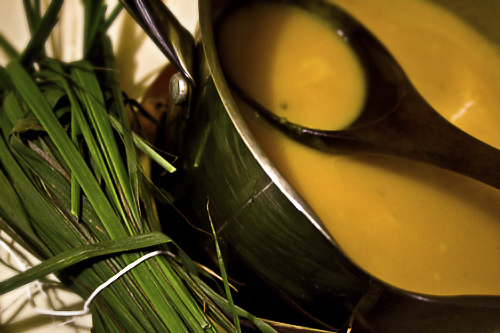 Lemongrass and ginger are always fun. Plus you get to infuse something here, and that makes everyone feel much more culinarily-empowered. Heat stock in a sauce pot. Add ginger and lemongrass. Simmer for 15 minutes. Strain Stock. Add rice to pot with infused stock. Bring to boil. Once it comes to a boil, cover and turn off heat. Let steam for 20 minutes. Add a splash of coconut milk, stir and serve. Because Mother Nature is a temperamental manic depressive, she has decided we need one more grossly cold blast this season before she gives it up to spring like she knows she’s gonna. What a sneaky trick. Because of this, we at Nummy would like to offer you one last warm soup for cold weather. This is Chef Ben Smith’s recipe from Tsunami, and when Chef Bear Bear made it (sorry buddy – you can’t show me e-mails like that and expect me not to pick up that nickname), everyone was a big fan of the lemongrass bite and the creamy coconut flavor. Put yo’self a pot on today. In a stockpot, melt butter and add onions. Saute the onions until soft and add ginger, sweet potatoes, lemongrass, and jalapenos. Cook for 5 minutes, stirring occasionally. Add coconut milk and water and bring to a boil. Reduce to a simmer and cook until potatoes are soft, about 40 minutes. Season with salt and puree the soup while still warm. Barrett likes to top creamy soups like this with toasted walnuts or something similar to give it a crunch, and I second that emotion. Last night’s dinner…Asian SCRIMPS! This may have been the easiest quickest recipe ever; start to finish including marinating time was about 20 minutes. Next time I think I will make my own sweet chili sauce, but this time around I just used the pre-made stuff. If you can’t find kaffir lime leaves lime zest is ok. I served this with summer rolls and lemon herb quinoa on the side to be healthy. 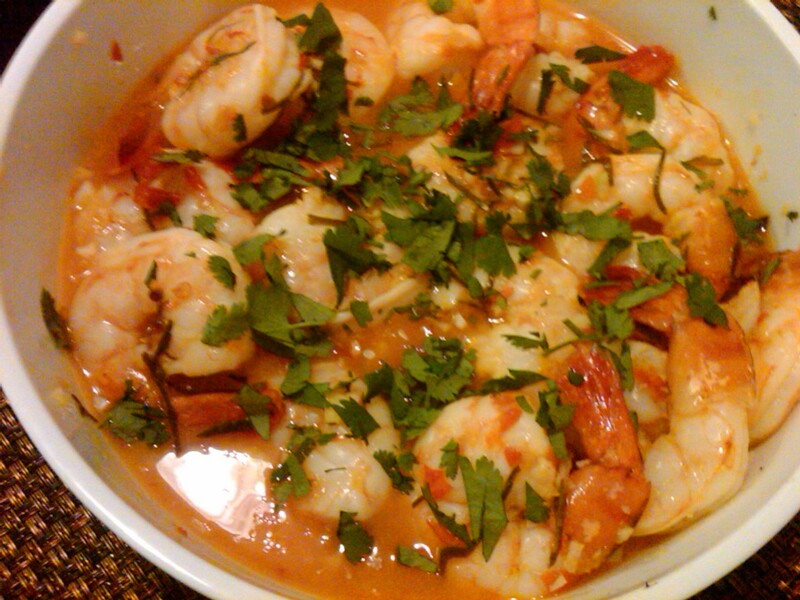 Marinate the shrimp in the sweet chili sauce, lemon juice, lemon zest, kaffir lime leaves, chili sauce, fish sauce, garlic and sugar for 10 or more minutes. Add the shrimp, the marinade, siracha (if using) and the coconut milk and simmer (not boil) until the shrimp are cooked, about 2-3 minutes. Remove from heat and mix in the cilantro. Well alright then. Barrett suggests you make a large batch of the paste, use a few tablespoons to make the sauce, and freeze the rest for future use (the recipe makes about 2 cups). As we learned on the food network, you can freeze portions of this in ice-cube trays and use them one-at-a-time. My inner Martha loves that time-saver crap. Place all the dried spices (chilies through salt) in a saute pan and toast over medium heat. Once toasted, grind in a spice grinder. Blanch and shock (meaning boil for a sec and then plunge into cold water to stop the cooking) the cilantro, basil, and mint in a salted water. Squeeze dry. 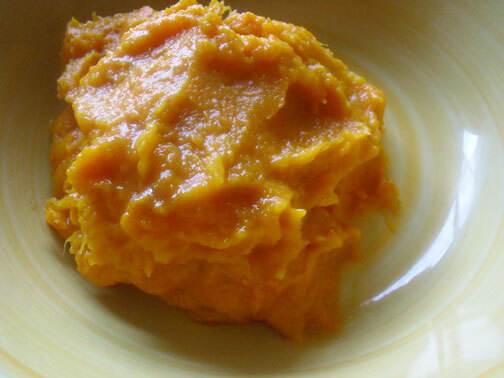 Place all ingredients except oil in blender and puree until smooth. While the blender is running, slowy drizzle in oil. Season with salt and pepper. Mix a few tablespoons with hot coconut milk until sauce reaches desired consistency. Serve with mussels or scallops over risotto or use as a soup base. If you’re looking for a full recipe, swap out the red curry in this mussel recipe for this green one. Bellissimo! The Chef says this sauce is “pretty rowdy with sake too.” I believe everything is pretty rowdy with sake, so I’ll take his word for it. He likes to serve this over jasmine rice. Saute shallots and garlic in a little oil on medium high heat. Add mussels and wine. Cover and cook until all the mussels open. 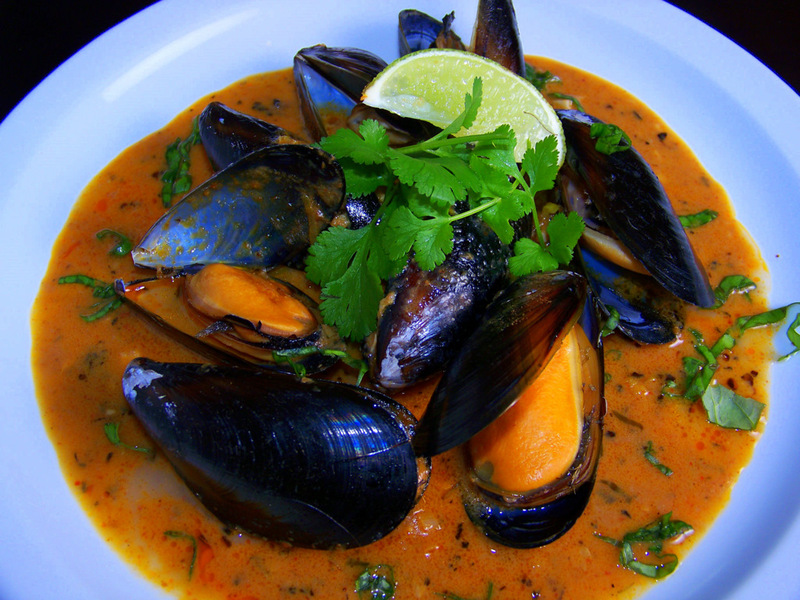 With a slotted spoon, spoon out the mussels and serve with Red Curry Sauce. Bring coconut milk to a boil and add the rest of the ingredients. Simmer and then pour the sauce over the mussels.